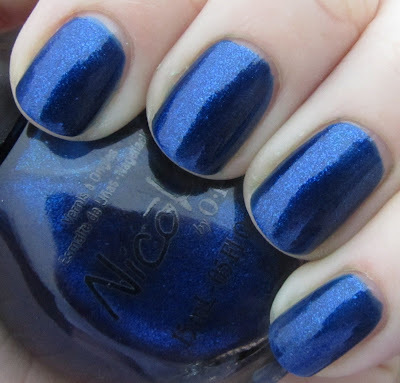 Polishology: Nicole by OPI Kardashian Kolors - Swatches and Review Part Two! 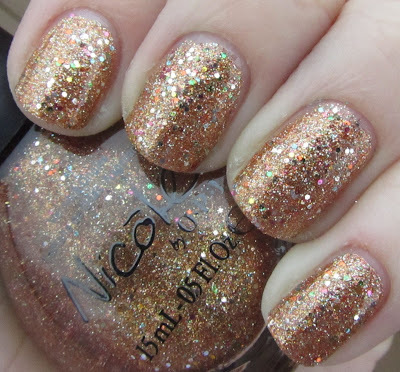 Nicole by OPI Kardashian Kolors - Swatches and Review Part Two! First up, the final creme of the collection. 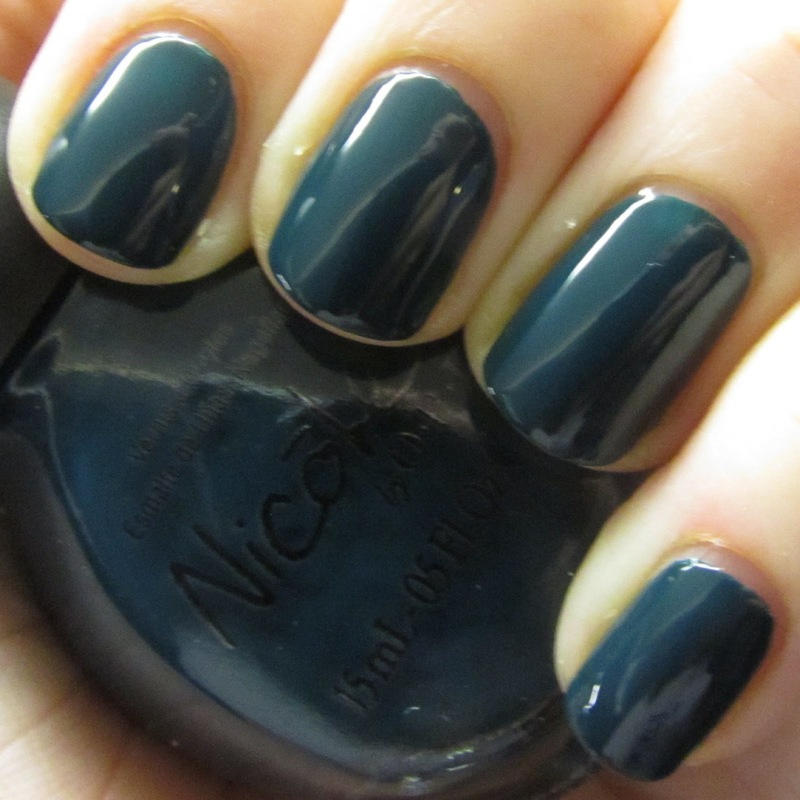 This is a very dark teal creme, with lovely two coat application. Deep royal blue with glass fleck finish. 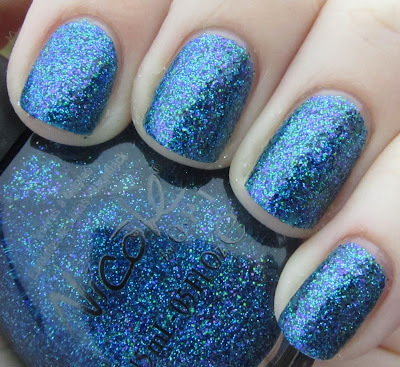 This is a really amazing blue, I love it! Although.. is it really a surprise to anyone that I love a blue polish? Haha. Three coats. 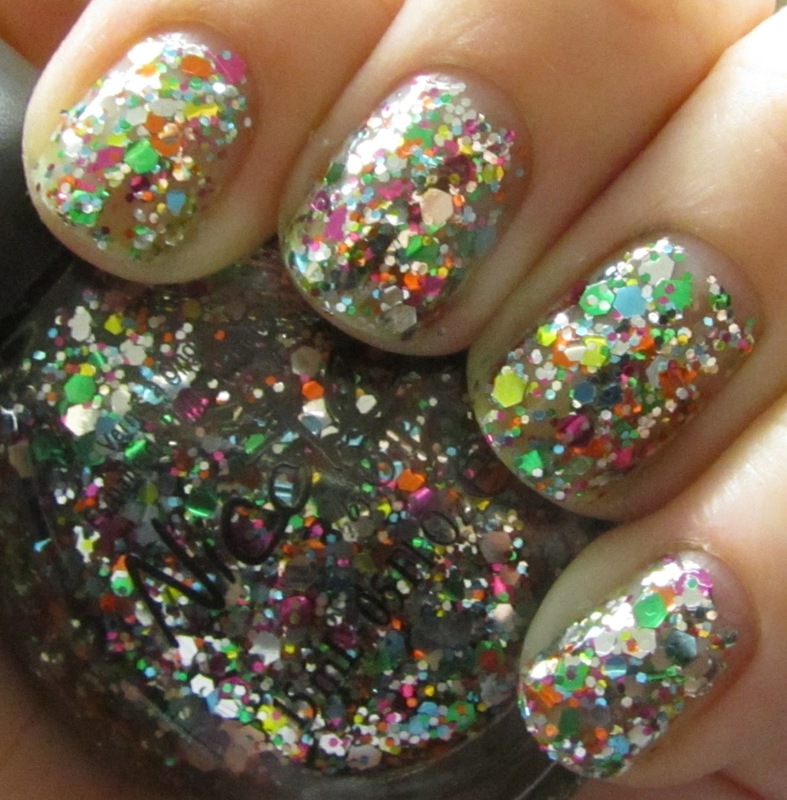 Chunky rainbow glitter, with both small and large hex in a multitude of colors. 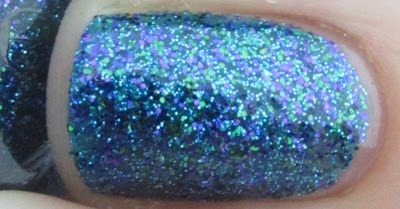 This is a dupe for OPI Rainbow Connection from the Muppets collection, and very similar to most of the other rainbow glitters out there. I like it a lot - just like I have liked all of its clones and almost-clones, haha. This is three coats. 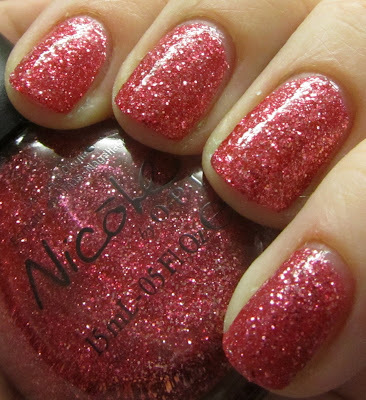 Medium pink glitter-bomb. This is OPI Excuse Moi! from the Muppets collection without the rainbow hex glitter. While I love that rainbow hex glitter, and still prefer Excuse Moi!, this one is very nice also. Two coats. 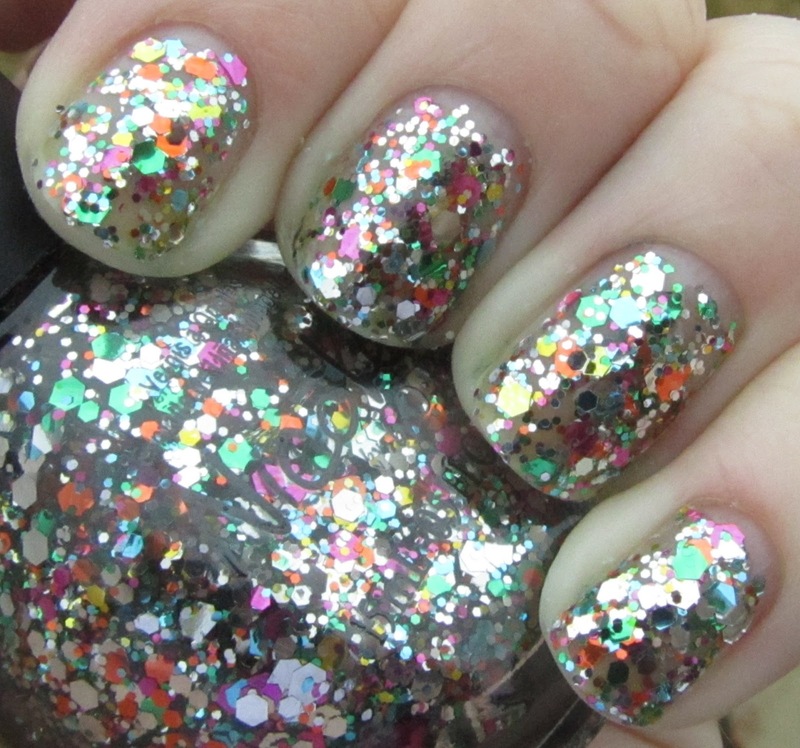 What was that I was just saying about loving the rainbow hex glitter? 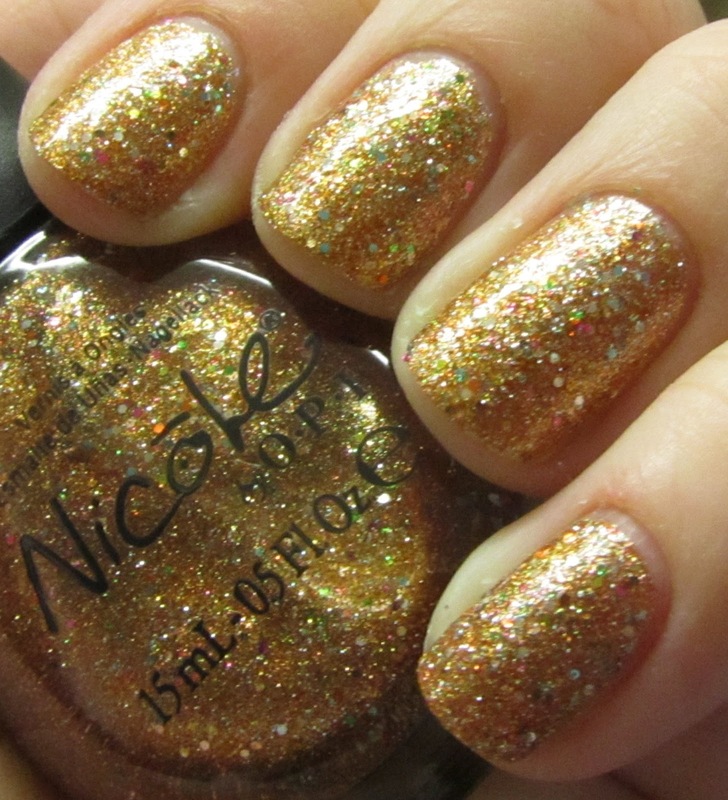 This is a golden glitter bomb with multi-colored hex glitters throughout. Think of it as the gold cousin to OPI Excuse Moi. I totally love these! Two easy coats. The charcoal cousin to finish off the rainbow hex trio. 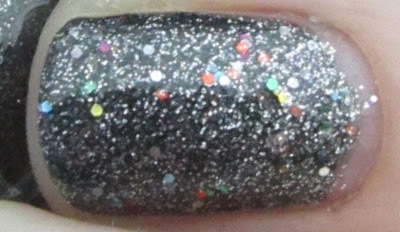 This has dark gray and silver microglitter with multicolored hex glitter throughout. I think these are really fun and unique. Love this one as well! Two coats. Blue, green, and purple glitter in a sheer navy base. This is totally amazing... might be my favorite out of the entire collection. I love the way the colors look together. 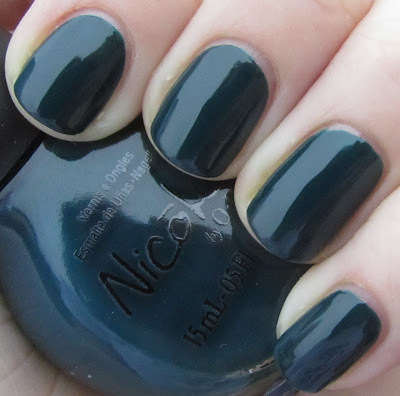 Overall a stunning polish! Three coats. While I honestly don't know much of anything about the Kardashians, I love this entire collection. There are some gorgeous basic cremes, which apply super smooth, and then these glitters are totally to die for. 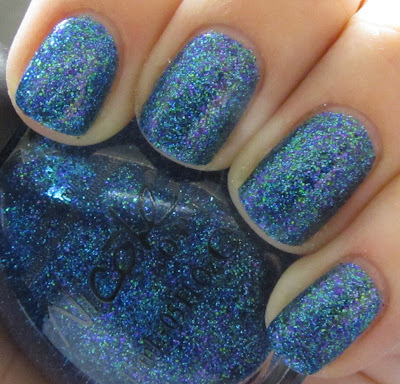 There are some very unique polishes in here, which is really refreshing, especially considering all of the somewhat similar collections we have been seeing as of late. 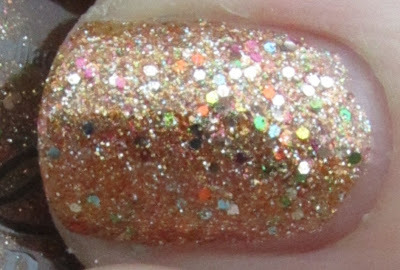 My top picks from this batch are probably the last three glitters shown, Disco Dolls, Follow Me On Glitter, and Kendall on the Katwalk - these are the three I would really recommend getting from this half, but honestly I love the others as well so it is hard to pick. 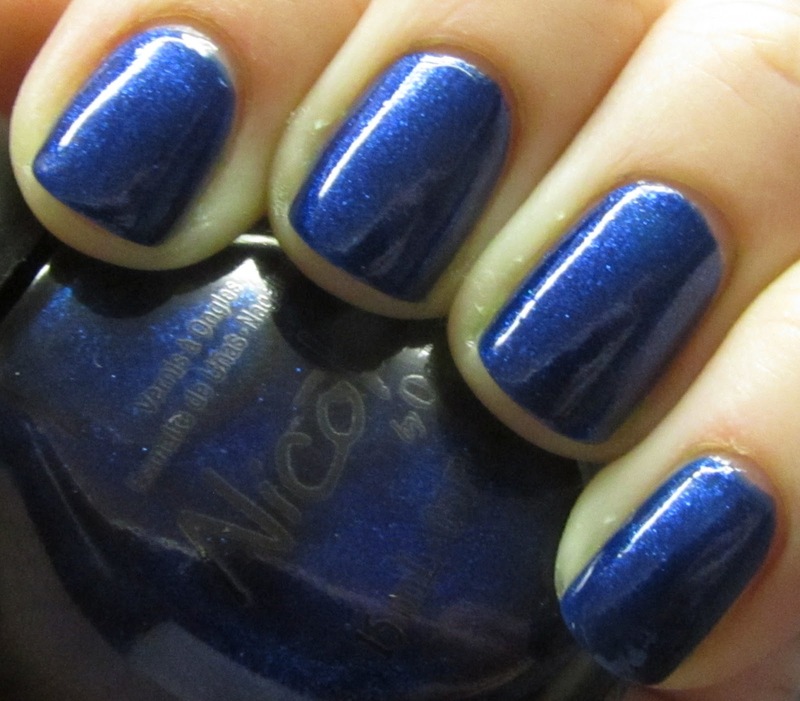 A great collection of fun and unique colors from Nicole by OPI! Did you get any staining from Listen to Your Momager? Hi, I came to know your blog, loved, congratulations and much success here, your blog is wonderful! I invite you to visit my Blog and if you like and can also follow my blog, you will be very welcome, feel at home! 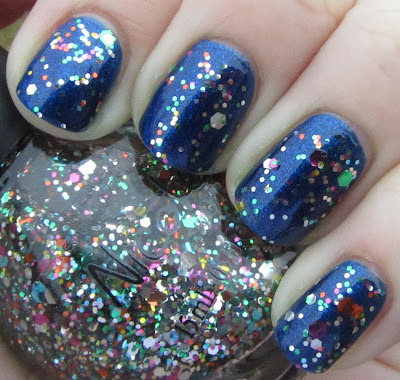 So, over a year later, are these polishes still good (or still in your collection?) I bought Follow Me on Glitter and Wear Something Sparkylie and they are both gloopy, separated hard to manage glitter messes. I think I wore each one time only, but they were hard to use from the start! How do you deal with these kinds of issues? 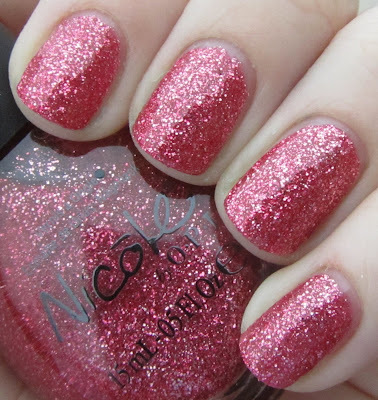 OPI Nicki Minaj Collection - Swatches and Review!